Indian sports fans at the Mumbai Football Arena supporting the Blue Tigers. While predicting India at FIFA World Cup, let’s not forget that next couple of weeks is a carnival for football fanatics all over the world as the 21st edition of the Football World Cup is underway in Russia. India is a country where football has a huge fan base and football fanatics all across the country will be glued to their TV screens all throughout the competition. 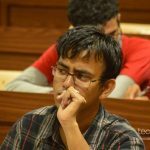 Even though we Indians will be eagerly following the tournament, there will always be that disappointment of not seeing India play at the tournament. 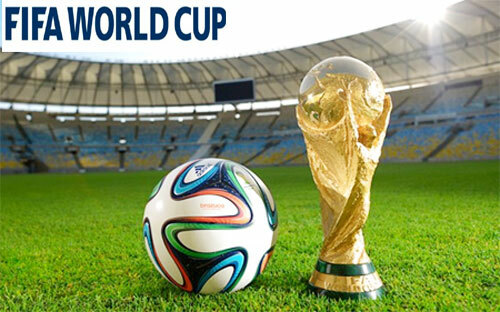 With the excitement, there always comes the question of when will India qualify for the FIFA World Cup. 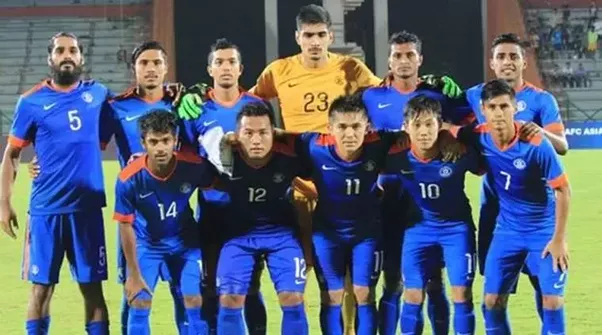 India did have a chance of playing the FIFA World Cup nearly 70 years back when they had qualified by default for the 1950 World Cup due to the withdrawals of Burma, Indonesia and Philippines during the qualifiers. India were supposed to be in Group 3 of the tournament alongside Italy, Sweden and Paraguay. However, India later withdrew from the tournament. 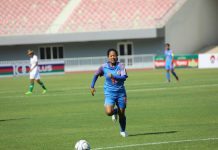 The reasons cited from AIFF were travel costs (even though FIFA agreed to cover a good percentage of the travel expenses for India), lack of practice time and preference of the Olympics over the World Cup. 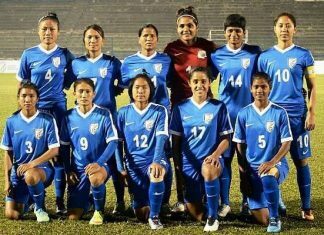 Some reports suggest that India did not participate because FIFA rules did not allow the players to play barefoot. However, the Indian skipper at the time Sailen Manna denied this. Ever since then, India are yet to make it to the tournament. Here is a little analysis as to which of the forthcoming tournaments will India make it to. If India does qualify for the 2022 WC – it will be the first and last appearance of current captain Sunil Chhetri. In the 2018 qualifiers, India were out in the second round as they ended last in their group. Since then, India have qualified for the Asian Cup which will be held next year. Recently, India lifted the Intercontinental Cup where Sunil Chhetri equalled Lionel Messi’s tally of 64 international goals. However, all three of India’s opponents, Kenya, New Zealand and Chinese Taipei were ranked below them. New Zealand was one opponent who played the football World Cup but India were defeated by them. Hence, the victory cannot be said anything more than a silverware attained by beating inferior opposition, and not much boost for India at FIFA World Cup. The 2022 World Cup qualifying campaign hasn’t been announced yet but the AFC qualifying format is likely to be the same as in 2018. This means that India will receive a bye to the second round by virtue of being ranked within the top 34 of the AFC teams. The 2019 Asian Cup will be held before the 2022 qualifiers begin. India’s group consists of UAE, Thailand and Bahrain. Based on the rankings, India are the second best team in the group behind hosts UAE and can be expected to qualify for the knockout stages. Even if India finishes third in their group, they can make it to the last 16 as one of the four best third ranked teams. A strong showing at the Asian Cup will certainly boost the morale of the team before the qualifiers. This will be Sunil Chhetri’s last chance to play and represent India at FIFA World Cup. 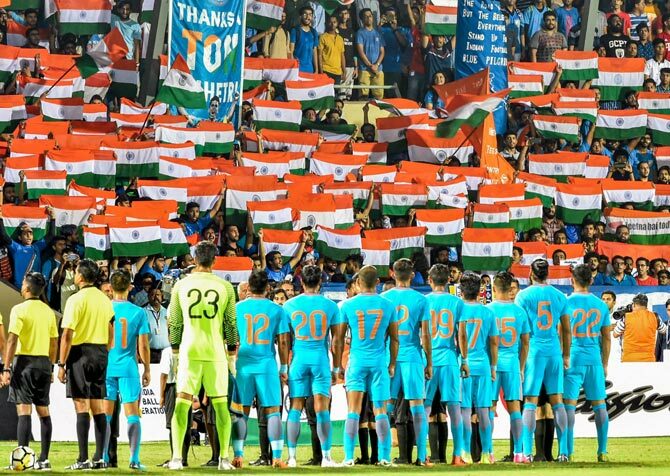 India at FIFA World Cup 2022 – Who can make the cut? Players like Jackichand Singh and Anirudh Thapa will be hot favourites at the 2022 world cup. The current Indian team consists of plenty of talent. There’s Sunil Chhetri of course who is a standout striker. 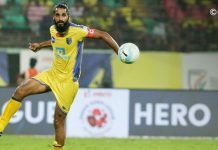 Another formidable forward is Jeje Lalpekhlua who was in terrific form during the ISL and already has 22 goals in 51 appearances. The midfield consists of the young Anirudh Thapa who is a rising star in Indian football at present. Other notable names include Pronay Halder, Rowllin Borges , Jackichand Singh and Holicharan Narzary. 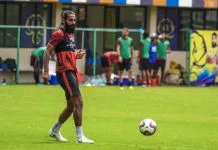 In defense, the Blue Tigers have Sandesh Jhingan who has made quite a name for himself in the past few years. Pritam Kotal and Narayan Das are two other defenders who add depth to the Indian backline. Between the sticks, India have Gurpreet Singh Sandhu who already has a bit of European football exposure to his name. Additionally, the Blue Tigers also have the experienced Subrata Pal who has made 66 appearances for them so far. When the 2022 qualifiers will be around the corner, we could also see some players from the U17 side making their debut for the national team. 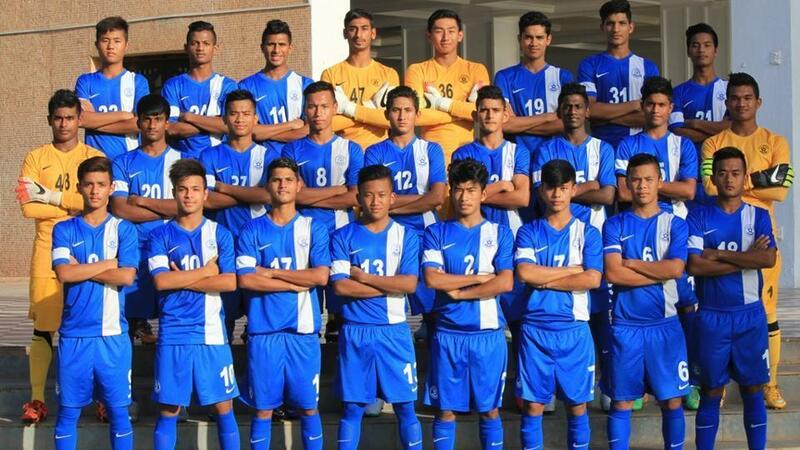 The team that played at the U17 World Cup includes talents like goalkeeper Dheeraj Moirangthem, midfielder Komal Thatal and defender Anwar Ali, all of whom were lauded during the competition. Hence, it will be interesting to see how these youngsters fare. India at FIFA World Cup Prediction: India may not make it to the actual world cup but they should make it to the final qualifying round. Most of the players who represented India at the U-17 WC will be a part of the 2026 WC. During this time, Sunil Chhetri shall have called it a day on his international career and the likes of Sandhu, Lalpekhlua, Jackichand Singh and Sandesh Jhingan will be at the peak and twilight of their international careers. The likes of Anirudh Thapa, Dheeraj Moirangthem, Anwar Ali and Komal Thatal shall have become seasoned campaigners for the team by now and can be expected to play their best football at this time. One advantage that India at FIFA World Cup can have is that there will be a format expansion for the 2026 World Cup which will see 48 teams taking part in the tournament. The number of teams from AFC has been increased to 8-9. Currently, India are 12th in Asia and in the next 5-6 years we can expect the blue tigers to be ranked within the top 8 at the least. However, they will still have to go through the likes of Japan, South Korea, Saudi Arabia, UAE, Oman, Australia, Iran and Iraq. India at FIFA World Cup Prediction: The public expectations should be high by this time but it’s a 50-50 chance whether India will make it to the finals. By the 2030 world cup lets hope we are good enough to qualify and play the WC. By this time, the team will have players we may not even know about right now. However, 2030 should certainly be the year when India make their World Cup debut. They should be good enough by now to qualify for the tournament. Of course, expectations at the finals may not be high but if the Blue Tigers are able to make it to the final 32 then we can expect more from them in 2034 and 2038. KreedOn Prediction : India should certainly make it to the finals in 2030. So,the bottom line is that Indian football is gradually rising and within the next 12 years, we should see India at FIFA World Cup. There is also a slight chance that the Blue Tigers could make it to the finals in 2026. For such interesting sports stories so visit www.kreedon.com or become an author with us. Reading, Writing and indulging in sports activities have been Neel's passion since he was a child. He grew up playing various sports and knew that it was something he wanted to stay in touch with. After completing his graduation, he narrowed his focus on writing. In his leisure time, he likes to read books and chill with his dog. Indian aren’t fit to shine the English footballers boots let alone enter the world cup.